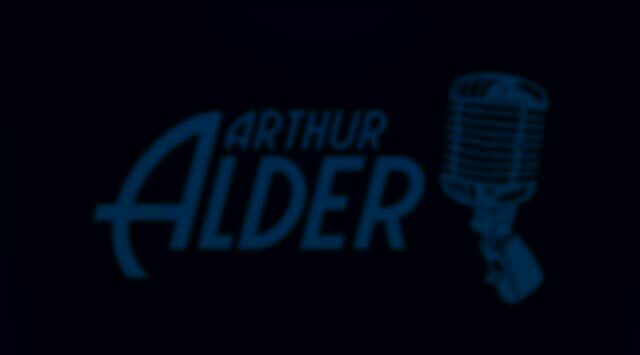 Arthur Alder is available for solo, duet, band and big band bookings. Write about the event you are planning and we will provide the memorable, customized musical entertainment that will fit your event and budget. 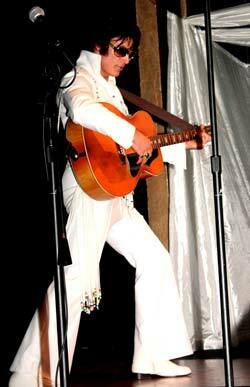 Experience one of the west’s premier Elvis tribute artists / sound-alikes! The perfect choice for many types of events including national and worldwide bookings. 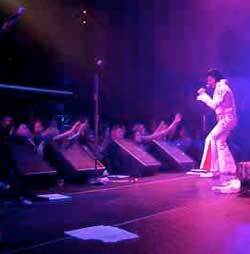 The ultimate Elvis experience with LIVE BAND! Choose the combo for clubs, private parties, dances, etc. Or add the horns, lights and fog machine for the authentic 1970s Vegas show recreation for your corporate function or glamorous wedding entertainment! With his European roots, reminiscent of many of our original vocalists such as Frank Sinatra, Perry Como, Dean Martin, Tony Bennett, Bing Crosby, et cetera, Arthur presents the Timeless Classics with old world style and precision, from authentic wardrobe to the velvet voice. Arthur performs for every type of venue in any size of formation: solo to big band, lounge acts to fully orchestrated stage productions. Original content © 2012 Arthur Alder.